Architect Louis Henri Sullivan's maxim of "form ever follows function" is simple and eleganta device or object should look a direct result of the design choices made to best serve the uses to which the device or object is to be put. Unfortunately, advertisers have for so long used the phrase to justify poor designs and arbitrary styling that it's become just another slogan. The Tri-Planar was conceived by the late Herb Papier (d. 2003) and introduced in 1981. 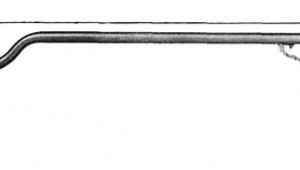 (That original model, then called the Wheaton Decoupled Arm, is now referred to as the Tri-Planar Mk.II.) The arm is now in its seventh incarnation, and its design and company manufacturing are now in the hands of a second generation, in the person of a man named Tri Mai. Numerous details have evolved over the years, but the basic designergo, the way it looksis pretty much the same. 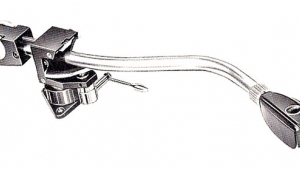 The Tri-Planar is and always has been designed to provide the best possible platform for a phono cartridge. 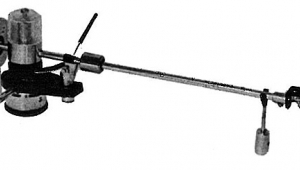 Any serious tonearm designer would claim the same for his or her products, which would necessarily share a number of attributes with the Tri-Planar: proper tracking geometry, nearly frictionless bearings, minimal inertia about the pivot, damping and proper tuning of structural resonances, and, of course, stability. 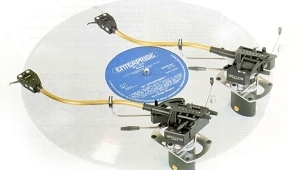 Where the Tri-Planar has always stood out is in the independence, ease, and precision with which the user can make all critical adjustments, but especially in the alignment of the stylus to the record in all three planes of rotation: yaw, pitch, and rollor, in audiophile terms, horizontal tracking angle (HTA), vertical tracking angle (VTA), and azimuth. In this degree of adjustability and precision, too, the Tri-Planar's form exquisitely follows its functions. 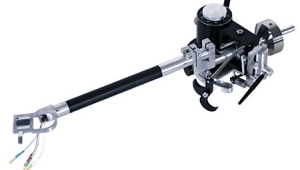 It's as if someone with the mind of an engineer and the eye of an artist had looked at a tonearm and asked, "How could I easily make precise, repeatable adjustments to azimuth?" and then added that subsystem to the basic designand then repeated that process for adjustability of VTA, vertical tracking force (VTF), antiskating, fluid damping, and everything else, down to the height of the arm lift and the speed at which the arm lowers the stylus to the record surface. 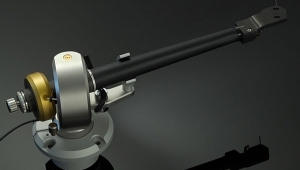 The result of such a hypothetical exercise would be what we have today: the Mk.VII Tri-Planar Precision Tonearm. If you need to adjust something, the way to do so is available; if you don't, it isn't. Plus, simply looking at the arm makes it obvious what to do and how to do it. Its technical solutions are manifested in machined steel and aluminum whose proportions, textures, curves, and finishes all reflect the artist's eye as well as the engineer's mind. In the Tri-Planar, form has ever followed function. 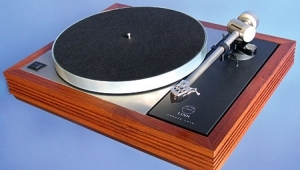 The Tri-Planar came nicely packaged, with a complete set of installation tools and gauges, but since the Spiral Groove SG2 turntable came with an armboard pre-drilled for the Tri-Planar, I ended up not needing some of them. The base is secured with three screws, and my arm came with a 1m phono cable; the installation took about three minutes. 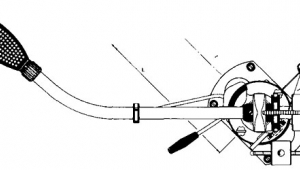 The basic adjustmentsVTF, HTA, tracking forcewere easily accomplished with the supplied balance and etched-mirror alignment protractor. I used two very different cartridges, a Lyra Titan i and a Grado Statement Reference, and here's where the Tri-Planar's design really paid off. Both cartridges responded well to my optimization of their VTA, azimuth, antiskating, and damping, so switching them out required resetting all of these parameters each time. 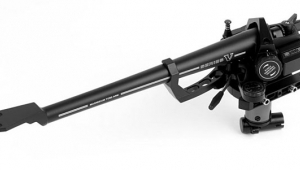 The adjustments were easy to make with the Tri-Planar, and, after the initial setup, were merely matters of turning a knob or screw to a particular value. 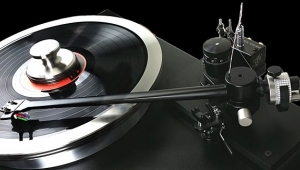 In contrast, setting azimuth and VTF on my VPI HR-X arm is a frustrating, trial-and-error process of simultaneously locating and twisting an eccentric counterweight that must be repeated each time a cartridge is installed. Over several months of listening with those two very different cartridges, the one thing that consistently stood out about the Tri-Planar's sound was its solidity. The sound was vivid, with rich tonal colors and textures, but never in any way colored or overly euphonic. Conversely, instruments and voices sounded natural, but with a bit more authority and presence than simply being there. Dynamics were big but very well controlled, with no sense of overhang or looseness. Everything about the Tri-Planar's sound seemed to fit together and contribute to the overall sense of solidity. The Grado Statement Reference excels in its reproduction of instruments' timbres and textures, and in my experience, never more so than with the Tri-Planar. Listening to Ben Webster and Harry Edison's Ben and "Sweets" (LP, Columbia/Classic CS 8691), I noted that the thick, honeyed texture of Webster's tenor sax sounded particularly thick and tangible. Closer listening suggested that what I was actually hearing was a greater stability and consistency in the fine, inner detail of the instrument's harmonic structurenot necessarily more or finer detail, but detail that was more stable with respect to space and time. 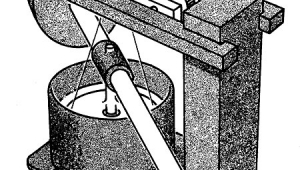 I noticed the same solidity in Edison's trumpet, though perhaps not to the same degree. This sense of stability also showed up dramatically in how the Grado re-created a recording space, and reinforced the importance of optimizing the Tri-Planar's setup. When I first listened to Antal Dorati and the Philharmonia Hungarica's recording of Haydn's Symphonies 93 and 94, "Surprise" (LP, London STS-15319), the portrait of the recording space was respectable but nothing special. A bit later, I noticed that some of the Tri-Planar's damping fluid had migrated from its trough to the surrounding environs. Recalling that the arm's damping had made a big difference in detail resolution and focus, I carefully refilled the trough and tweaked the position of the screw that controlled the degree of damping until the details were locked in. Now I was stunned by how clearly holographic the venue (St. Boniface Church in Marl, Germany) of the Haydn recording sounded. It was another of those sepia-to-Technicolor transitions, and one that turned a decent-sounding LP into a great-sounding one. The Tri-Planar worked beautifully with the Lyra Titan i as well, but didn't improve its performance as dramatically as it did the Grado's. The Lyra's focus was superb, as I've come to expect from it, and there were multiple layers of tonal and spatial details. I could hear the bell of Sweets Edison's trumpet launch the notes, and there was a very natural sound and shape to the image of Ben Webster's sax, but neither stood out as unusual. I did notice a difference with the Tri-Planar with the Lyra Titan i in the upper-midrange/lower-treble region, where there was never any of the shrill glassiness that can creep into violin crescendos, or the steeliness that piccolos can sometimes take on, even from LPs that I might have thought were marginaljust that solidity and authority that the Tri-Planar always seemed to have. 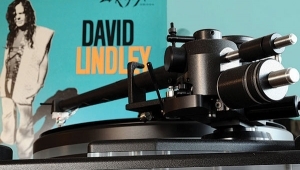 If a tonearm can't be adjusted, how does the cartridge sound? Like one hand clapping? Or like a tree falling in a deserted forest? All of the Tri-Planar's adjustability and precision beg the question: Is its "sound" actually only the sound of a cartridge being more optimally aligned? After all, even a slightly misadjusted VTA can affect a cartridge's tonal balance and overall focus. Even slight changes in azimuth can have big effects on stage width and depth, as well as on the size and spatial precision of individual images. Low-level detail can be lost if an arm-cartridge pairing is over- or underdamped, problems that are often audible as a loss or bleaching of ambient details and textures. 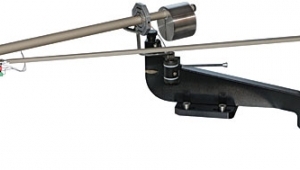 How much of the sound of the Tri-Planaror of any tonearmis actually due to how well the cartridge is performing?